Peter Kelly submitted this message as a response to our recent article The Martial Artist’s Dilemma: “Traditionalism vs. Innovation,” by Charles Humphrey . We found Peter’s thoughts especially interesting and are posting it as a separate article. When I started Aikido I came directly from my last season playing sport as a professional athlete in Europe. I had had enough of life on the road and realised that my body was taking a beating that meant I may not walk well when I turned 50. I got off the plane and within a week was in my first Aikido class. As a now former professional athlete, I threw myself into training, easily able to complete the 12 classes a week that my chosen dojo offered. (Professional athletes train 6 hours a day, 5 days a week, and also 4 weight sessions a week, plus recovery swimming sessions on Sundays). You could say quite rightly that my entire life has been spent learning, interpreting and processing complex body movement, assimilating changes to those movements as fast as possible and also applying those movements in a dynamic and intense environment, where the cost of failure could ultimately affect your livelihood. Pressure to succeed was very real, and adaptability was the key to longevity. The competition that I had been exposed to and the discipline that such competition gave me created a unique training etiquette that had previously not been seen in the dojo I was training in. I created a personal training program based around previously learnt physical movements and repetitive simple drills to assimilate a new set of body movements and create muscle memory, which in turn freed me to create relaxed dynamic movements. While I respected my seniors, I was a little perplexed that these instructors struggled to relay to me what seemed on the surface to be quite simple body mechanics. Often questions were answered with obscure references to spiritual philosophy, not much help to a keen learner attempting to internalise simple movements to create muscle memory and body mechanics. In the professional sporting arena, you are taught from a young age to identify weakness and exploit them. In the sport I played we called people who display these weaknesses “bunnies” and they were identified by their lack of coordination and understanding of complex body movement, their movements slightly disjointed and lacking in cohesion and fluidity. These “bunnies” were then exploited to the benefit of team victory. The higher up the professional tree you go, the fewer bunnies you encounter. After about six months I came to the realisation that I was being taught by a collective of these bunnies. Here I was paying money to be taught what was perhaps the most complex body movement of my life by senior dan levels that struggled with hand eye coordination, and the ability to relay quite simplistic actions that their physical bodies were attempting to perform. 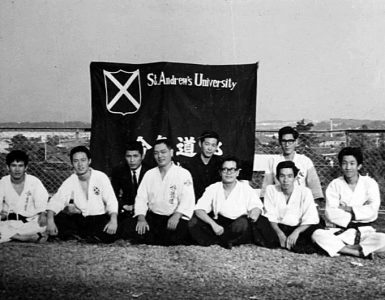 In truth, there was not a kinesthetic learner amongst them, a group of intellectuals that had come to aikido due to its spiritual teachings and philosophy that protected them from the competition that had so exposed their physical ineptitude in their youth. 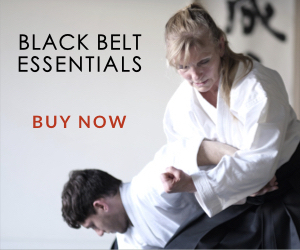 These were passive – aggressive personality types that lay claim to study and teach a martial art, yet their training and actions were completely lacking any basis for the reality that was a physical conflict situation. Their movements lacked the integrity and focus that are precursors to understanding the physical space control necessary to dissipate or dissolve physical conflict. In short, their movements did not proactively control the centreline of the aggressor. I eventually met the Shihan that had been sent to my country as the founder’s representative, found in him a brilliant Aikidoka, and promptly left my country to train in Japan for years. I know people believe that time is important and to some extent it is, but body movement development depends entirely on the individual. I have also heard claim that spiritual maturity can only be reached over lengthy periods of training, but that example is also unproven in history, when most of the great sages, prophets and teachers of the past reached the heights of spiritual maturity at relatively young ages. I don’t believe that Aikido can benefit in any way from the competition that I exposed myself to in my youth, but I also believe that for Aikido to go forward and grow as a spiritual art people need to face their fears instead of using aikido’s spiritual teachings as a wall to hide behind, and elevated position due to service does not mean competence in an art that is so dependent on a deep understanding of complex movement, coordination, spacial awareness and balance. I have watched with great interest this push towards internal power in rediscovering Aiki in Aikido. I have watched the drills posted and the body positioning and understandings filtered through the traditional Chinese martial arts. I don’t know if people realise or choose to ignore, but the majority of these movements exist in the training regimes of modern professional athletes, and this has been so for many years. You see science has also discovered the most efficient way the body develops power, and has been passing this information through to athletic coaches for years. After all professional sport is big money, it makes sense that their training methodologies have understandings of facial spiralling, ground reactive force, and the complex, muscular facial trains that need to be developed to the benefit of relaxed physical movement. They then get these athletes to drill these movements until they are natural and devoid of the thought process needed at the start to integrate these movements. This was Ueshiba’s brilliance. He trained like a Spartan, he lifted heavy weighted objects to understand how the body acts under load, he pushed the boundaries of physical endurance to see how the body responded under duress. And he never stopped this study. Why are Aikido and farming one? Because farming requires repetitive physical endurance, working in a physical nature all day forces you to find the most relaxed way to develop continuous relaxed physical power. This is aikido. After all, the ultimate goal and the way forward to enlightenment is to “know thyself”. I believe the way forward for aikido is for those that have allowed years of training to build up rather than destroy their egos to give competition a go, maybe not in the dojo, but somewhere. 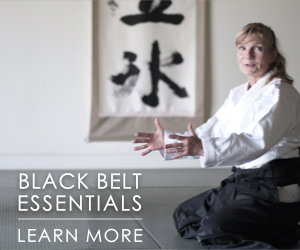 Discover what modern training methodologies have to offer your art, study what Ueshiba did in the context of physical development, then look at the modern equivalent. Those secrets aren’t really secrets anymore. After all, being outside our comfort zone is where we come face to face with who we really are, and when there is nowhere left to hide, then maybe the ego can have a chance to truly be destroyed. thank you very much for this straightforward article. I support your argument fully and would add that also in neuroscience a lot of data, models, and theories exist which explain a lot of the more “magical” stuff in martial arts. E.g. how to exploit gazing to unbalance uke. Why soft touches are more useful to get in control of ukes movements. In history all warriors at all times in all cultures tried to gain as much as possible relevant and precise knowledge about how to fight successful. And this hasn’t changed. Most of that knowledge came from experiences and experiments. It was an empirical method and it was very difficult to get a rigorous theory of the human body, the nerve system, the kinematics of accelerated movements, etc. So, these warriors and their teachers and coaches used metaphoric expressions to capture these empirical findings without an underlying theory in their language and culture they were born in. 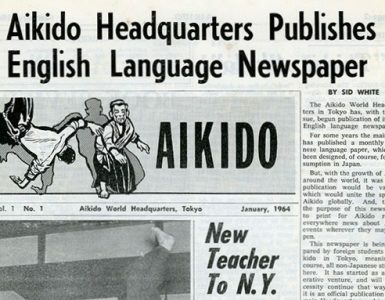 I wouldn’t be too much surprised that when the day comes and Aikido becomes a research topic many of these metaphoric descriptions aren’t necessery any more. Again, thank you for your article! One of the things that impotent aikidoka fail to do is the same thing the faux tai chi people have done. If you go back to the finishing stances of Daito Ryu, or the tai chi postures of Yang Cheng Fu, you’ll see pretty much the same 70/30 stance, similar to the one Peter Kelly is in. I’ve also noticed that Christian Tissier and a few other aikidoka have fitted themselves into similar postures. Looking at pictures of proper martial artists’ stances, as well as the power stances of elite athletes, you’ll see inclined 70/30 postures that are biomechanically proper for expressing power. Aikidoka at advanced levels may find that their stances are their weak link. Good on you Peter Kelly for your honesty, will people listen ? ah well, one lives in hope. Jack Livingston: Good point! Yoshinkan (and its offshoots) teach a 70/30 stance from the start too. There are a lot of good points in this article, and I agree that modern science has thrown a lot of light on Internal Training – despite what you seem to believe, that’s not in dispute among the Internal folks that I know. OTOH, training methods in professional sports change all the time, so I can’t believe that it’s a forgone conclusion that modern training methods know all and can do all. I’ve seen to many people familiar with modern sports science struggling with the methods we employ regularly to believe that. Following up on my previous comment, here’s a thought – why couldn’t Michael Jordan play baseball? One of the finest professional athletes in recent history, with access to all of modern athletic science and the best coaches and equipment. Yet he never got to be more than a mediocre baseball player. The movement methods and body skills were different – just a little, but enough to make things difficult, if not impossible. With internals we’re talking about radically different body methods and non-conventional usage of the body. Just being a pro athlete won’t help. The basis kinesthetic learning abilities should stand them in good stead, but it’s not a done deal, by any standard. Reaction time, at 6.6 his reaction time was too slow. In a taller person it can perhaps be trained over an extended period of time. Tools for the job, really. Why doesn’t lionel Messi play basketball? Could Lorenzo Bernadi have been a soccer player? And while Jordan was great, and in the public eye always and part of the huge publicity that marketing could afford, I personally believe a guy called Karch Kiraly was the greatest American athlete of the era you speak of. And just being a pro athlete won’t help? Your expert professional athlete opinion? How many truly professional athletes have you had in your dojo? A difference in training and conditioning – just as I argued, different tools for the job. Nothing in your first paragraph disagrees with anything that I said. The rest just seems to be an attempt to make the argument about me rather than about the argument itself. Since we really have no idea of each others experiences without meeting each other, why don’t we just leave that alone, it doesn’t help your argument or the discussion. Hi Li and Peter, you both have valid points. Professional athletes do have an edge. It really does depend on how many hours and what kinds of training methods they’ve been using. I believe very few top athletes would ever want to study aikido. There just isn’t the same kind of money in it..! As for Li’s point, I think that this is right too. Yes, hand-eye coordination is pretty good, even stellar, in professional athletes, but when it comes to something as subtle as aikido, although the gross motor movement are easy to pick up, the higher levels will remain mysteries without an understanding of the precise protocols the mastery-level aikidoka work with. But this is the same in athletics. If it weren’t for trade secrets, all athletes would be like those famous players Peter mentions. The body is a complex organism, and, yes, there are athletic ways of organizing it, but there are many more. Thankfully, the nervous system is so complex that many alternative routes can get you the same or similar outcomes. The devil is in the details though. What is bio-mechanically efficient is not the same for everyone in practice. When you combine this fact with interactions in real time with someone else whose nervous system is potentially just as complex (sometimes uncoordinated agreed, sometimes resistant – in any case, turbulent), then there are multiple factors that need to come together. 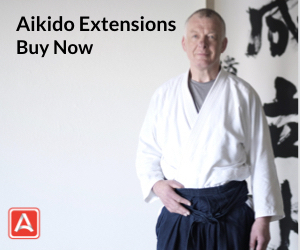 Aikido is an enigma for many. Athletic competence is only advantage for high-level athletes for a short period. Advanced work, given the almost total lack of real instruction in aikido, has to be acquired on our own. This requires creative thinking, a skill that is not always evident in athletes who’ve had coaches train them in sports science methods. I tend to think that it is one kind of skill to think within given parameters, another skill entirely to break the mold. I feel aikido, taken as a whole, is really about individual creativity, which is why no two top-level senseis perform alike. If you look at swimming, can we really see major differences of approach? Outside the use of drugs and genetics differences, the people who really change the game by introducing completely new training methods, I feel, are few and far between. But in aikido I feel this is more or less what happens in the higher levels. Each person has to reinvent aikido, as it were. At least, that’s my working hypothesis to explain the massive differences in approach out there. Yes, I believe in Ki, but also believe in psychology, gravity, anatomy, physics, kinesthiology, I don’t find I need to explain this to a physical therapist, but I can often be surprised by dancers, gymnasts, and other martial artists. 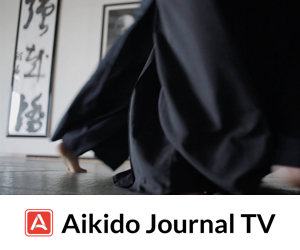 The first few years for many Aikido students is losing weight, gaining flexibility, learning how to tell the left foot from the right foot and overall body coordination. The lowest common denominator is the student who spends all day in a class room, then watches TV, maybe has a job that means more sitting. So, when we had a professional rowing coach, and a professional cross country ski coach join at our dojo, they didn’t have fat to lose or gross motor muscles that needed strengthening or stretching. My first teacher was a very good basketball player and he coached as well. He told me once that his basketball was a big part of his randori skills, and his randori was excellent. Yes, not professional athletes, but people who benefited from training. One particularly gifted student now at our dojo dances professionally. Another former student left for university and became a cheerleader. Picking up people over their heads, staying stable? They’ve done it a lot. But, these are guys – the woman dancer is the one being picked up, and often in the name of “grace” knees are locked, and the back is arched with the shoulders thrown back in a posture that would never support a throw, strike, or fall. These people still had lots of work to do to relearn, unlearn and engrain. I started in a dojo with several medical professionals and several engineers forming the core. Science was good. Another dojo, another experience. In my experience, I cannot trust everyone who walks through the door and claims ability. Prior injuries, previous engrams and reflexes that are being challenged, and people who are not as good as they think they are; these things are common (not pointing at the author, I didn’t Google him yet). Watch Dancing With The Stars – professional soccer players, boxers, and football stars don’t always make the best dancers just because they are athletic. If someone won an Olympic medal in archery, I wouldn’t automatically expect better Aikido – but I like to think I would try to find how to use and nurture what they brought to the table. As an instructor, I think we owe it to the students to be able to correct technique physically (how is this done effectively and safely), mentally (what are we actually trying to do, where are the openings), as well as the more spiritual aspects. One author recently wrote on this site that we have little training as ethicists, and truthfully the average black belt received little training as an athletic coach, psychologist, spiritual leader, physical therapist, or athlete either. I agree with you John, few aikidoka are trained in all those things you mention, yet, ideally, that’s who we need to be. In my upcoming book, I outline a program of that sort…1000 pages so far..! Oh, that guy who said we aren’t ethicists…was probably me..! 2- Environment: Presence of role-models, availability of teachers, popularity, support, access to information, etc. 3- Passion: It’s the most essential ingredient. With passion we will do whatever it takes to overcome physical and mental shortcomings and difficulties. We will find the right teachers and go to them wherever they live, we will find ways to maintain zanshin and train wherever we are, we will find and study whatever is needed in order to keep progressing; that includes modern training methodologies. Thank you for a great essay, Mr. Kelly. It’s worth reading it several times and reflecting on it. To your list, I would also add 10,000 hours of ‘deliberate practice’ as K. Anders Ericsson and Malcolm Gladwell both pointed out, which is what the best of the best do as a foundation. The absolute best performers in most sports, athletics, music and art do around this number of hours and some more than double that. 10,000 hours is about 5 hours of practice a day for 10 years. Very few people are lucky enough to have the luxury to do this in any sport, aikido included, unless they are professionals. When aikidoka say they have ten years experience, they usually mean part-time two hours a week or so. In 10 years, that is only 960 hours, only 1/10th the time. Even if you did an hour a day, every day of the week for 10 years. That’s 3360 hours. In short, someone practicing everyday but part-time for 10 years has only done 1/3rd of what a professional does in the same number of years. Of course, the other factor is that these hours should not be just repetitive training but ‘deliberate training’ where we analyze what we are doing wrong and work on changing our movements until they approximate more closely the master’s technique. This requires radical honesty, a willingness to be wrong so as to work away from mistaken movements. Most people are not that precise and most aikido dojos do not require people to analyze themselves that much or to make training internally challenging like that. But, yes, passion is the biggest factor. I think it’s important to remember that all people have a lesson to teach even if it’s just not what to do. I to find it difficult to practice with those that lack in the ability to keep up. But like my sensei Is constantly reminding it’s through studying the movements of others that we’ll gain a better understanding of ourselves. First off, the subtly disparaging comments about the limited return (or introduction, depending on who one talks to) of internal power methods to Aikido practice, and the similarity of many concepts from Chinese internal practices. Fair enough; you are free to state your opinions, even if they are – quite evidently – uninformed. But to equate internal power training to the training methods of modern professional athletes…I’m sorry, no. Athletes past and present rely entirely on muscular contraction, localised power generation, aerobic conditioning and other completely conventional ways of generating force and movement. Hence the rippling muscle, the constant strains and tears, and the early retirement thing. (In most sports, well before the onset of mature manhood, as the great Lou Gehrig once put it). You yourself made reference to this at the start of your essay. IP/Aiki, is a horse of an entirely different color, which is why Morihei Ueshiba was better at it when he was in his eighties than when he was forty-five. It is also why massive, powerful Sumo wrestlers couldn’t do a thing to him, nor could Judo men, nor Boxers. Surely a 5’3″, 150 lb. Methuselah didn’t just over-power these men, some of who would have outweighed him by a hundred lbs.! Was he just faster than men half his age? 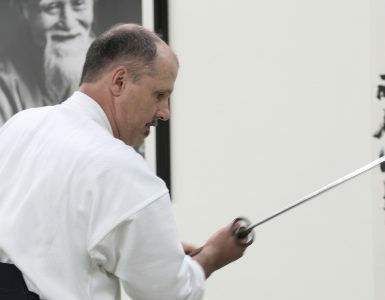 Was his technique just so incredibly precise (hint : It wasn’t, and he repeatedly tried to communicate to students that refining or “perfecting” the performance of physical techniques was a complete waste of time) that it overcame practitioners of what were arguably more practical and effective holds, throws and strikes? The only possible answer is NO, and given your past history, it’s rather surprising that you wouldn’t show much interest in this aspect of practice. I don’t know which side of the pond you live on, but Harden and Akuzawa both hold fairly frequent seminars in Europe, Britain, and North America, and I would encourage you to attend one of these, even to make a special effort to do so if your schedule and budget allow it (and if your wife says you can go!). I’m willing to bet it would change your opinion. Quickly and completely. And Peter… Karch Kiraly? A — ahem – volleyball player (I can’t bring myself to put a capital V at the beginning of that) the greatest American athlete of the ‘Eighties/Nineties? You’re kidding us here, right? Everybody knows that long-time Boston Left Fielder Mr. James Edward Rice was the greatest athlete of that era, bar none. A most interesting and spirited article obviously written with feeling and from experience. I appreciate the depth of replies too. I note the reference to 70 ;30 and would like to question how this imbalance makes you centred. Hard to tell from a photograph but just because the front knee is bent more than the back doesn’t mean the person is not centred … in terms of centre of gravity and in mind. Surely being centred would be one of the body mechanic principles so often mentioned in the post. I am interested in the thinking behind 70:30 even if it is something I currently avoid. I be a bunny. Years of training have helped me cover it up. I came to aikido to improve my fighting skills. Bunnies attract predators. I probably have. Importantly, though, I now look less like food and more like fight. Nothing wrong with bunnies IMO. Bunnies can run fast, faster than my German shepherd, especially when they are running to avoid getting eaten. My dog merely runs after them for pleasure. Personally, I don’t think it’s helpful to take an elitist approach, although I don’t think Peter is doing that here. He’s just saying athletes have an edge when it comes to learning aikido, at least, I would argue, initially. But I very much think it’s a tortoise and hare thing. Those without coordination will eventually get better and if they keep studying will outclass the athletic. There is only so much you can do with strength, speed, agility. Aikido is also about leverage, subtle body movements, esoteric stuff bordering on the miraculous, and these things, even with the aid of science, require meditation and dedication, asking ourselves questions for years, decades even, until the answer pops into our whole being. When we are ready, the master appears, I think, also applies to ourselves. At the peak of meditative concentration, IMO, we achieve our best work. Kinesthesiology, There is a word you hardly ever hear of in Aikido yet it is exactly what many are studying, perhaps. Some won’t recognize that. I recognize it as something that has a lot to do with what I’m teaching. You’re ultimately talking about what is happening with various positions and effects that you put on another person’s or maybe your own body as well. I had never heard of it till my last semester at University of Florida when I took anatomy and then I’m knocking myself in the head. That’s what I teach! It’s just not in those conventional forms! Thanks for your article. I don’t apply much of the head stuff that Tohei Sensei was teaching. (Maruyama was one of his top students.) Obviously his Aikido was spectacular, but the results of the third and subsequent generations of students are just not there if the attacker is not receptive to that stuff. I find it’s more of the psychology, gravity, anatomy, physics and kinesthesiology that Mr. Hillson referred to plus some kuzushi and positioning which incorporates all that as well. Thanks for this great article I find your argue is hitting me in the face. It nudge that let me rethink again of this dilemma.